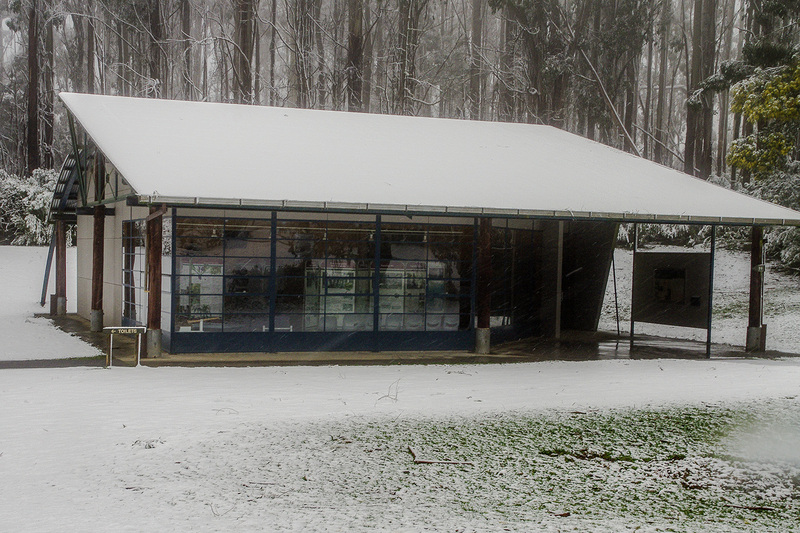 The Visitors Centre is a focus for information, interpretation and education in Tarra-Bulga National Park, with a theatrette and display area including panels explaining the natural and cultural history of the park. The designer Bruce Katsipidis of the Public Works Department, was congratulated for bringing contemporary design into a forest setting. ‘His approach’, explained the magazine Architecture in Australia, ‘recalls the idea of a minimal shelter found in mountain cattlemen’s huts without resorting to the split logs of pioneers or the mud bricks of environmentally conscious builders’. *Note: The safety of our volunteers and visitors is our highest priority. On days where severe weather conditions (e.g. damaging winds, high fire danger, storms or heavy rain) are forecast, this centre will not be open. Do you enjoy meeting visitors from overseas and interstate and helping others? Have time to spare on weekends and school holidays (Approx. 1 day per month). Have your own transport to get to Balook. Think that Tarra-Bulga National Park is a pretty unique and special place. Occasionally like some quiet time for yourself. Then becoming a Visitors Centre volunteer could be great for you. Contact friendsoftarrabulga@gmail.com or call 0488 035 314.